For as long as I can remember, I have loved rolls. 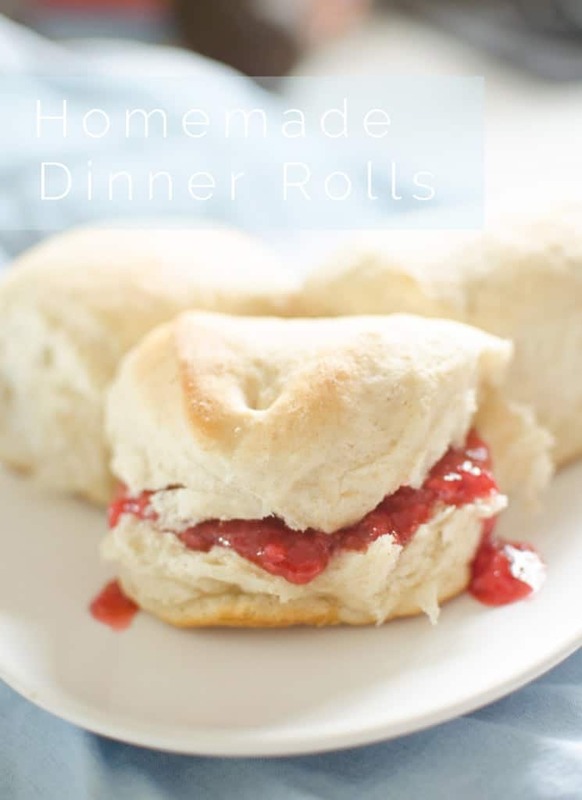 And not just any rolls, but my Grandmother Doxey’s Dinner Rolls. The smell of baking rolls takes me back to so many Christmas’s and Thanksgivings when I would gorg my childhood belly on fluffy rolls. Desi and I come from a long line of roll makers. 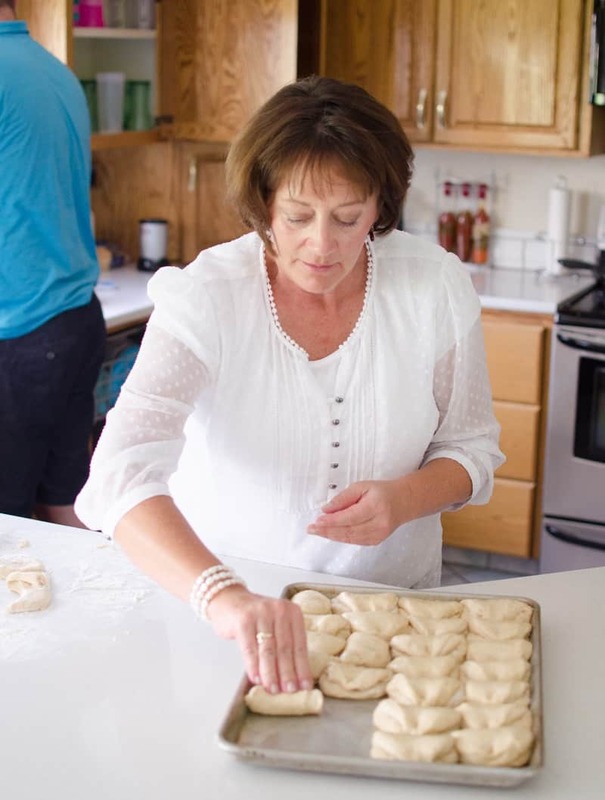 Grandma Doxey is our mom’s mom and I’m pretty sure she inherited this recipe from her mother. 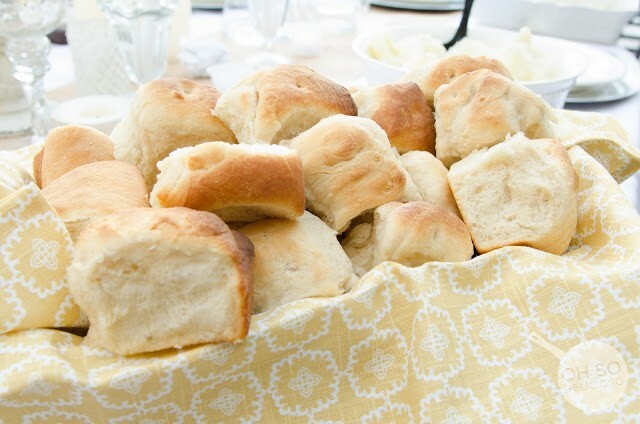 Grandma was famous for her warm, soft and fluffy dinner rolls. She would make them for every family function. They were the stars of the party! It’s almost as if these rolls have become another member of the family, they are so expected. 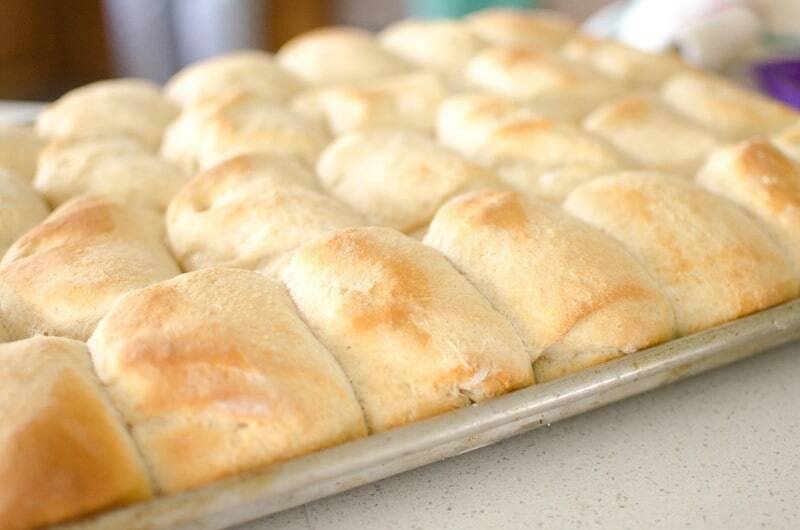 Our mother and her sisters have carried on the tradition of making Grandma’s soft rolls. When I was engaged to be married guess what I was gifted for my bridal shower? A roll! No, jk.. I’m lame. It was a Kitchen Aid from my aunts to carry on the tradition of roll making. 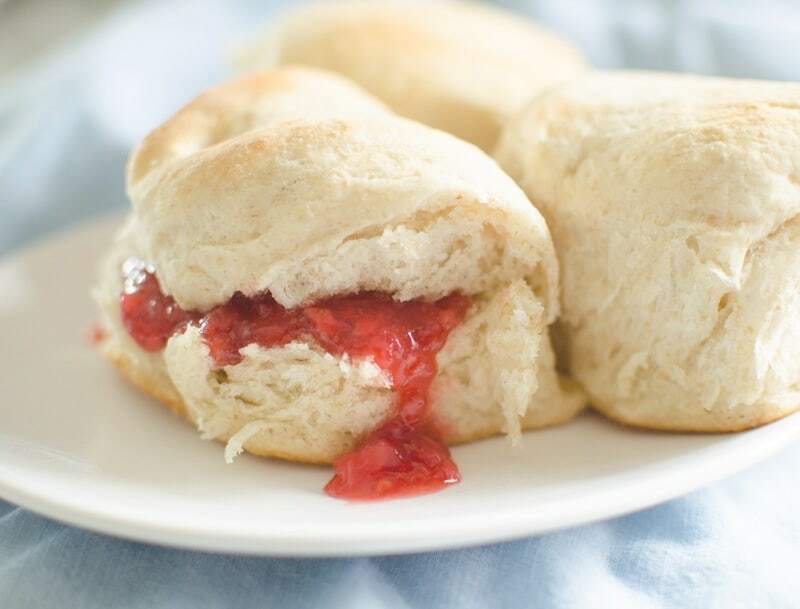 To make the Doxey rolls, you will need a mixer like a Kitchen Aid with the hook attachment. A rolling pin, cup and cookie sheet.  This is written in tutorial style to help you master the technique. And I should preface, if your rolls don’t turn out magical the first time, don’t give up. With most bread making, there is an art to it. 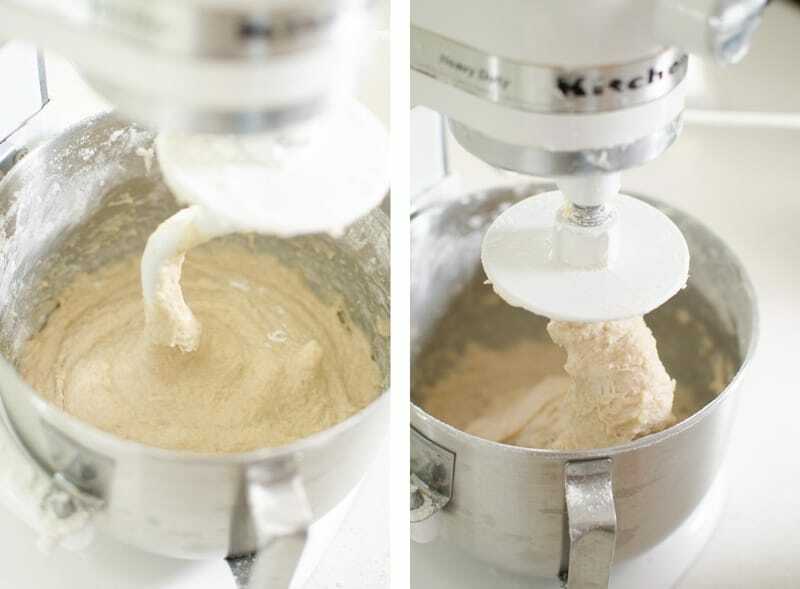 Mastering the right amounts of flour to get the perfect texture takes practice. And when you get it right it is soo worth it! Let grow for about 10 minutes to see if yeast is good. See the growth? I buy yeast in the bag like this. I never tend to have good luck with the packets. And yeast can last for a long time especially when stored in the fridge. Start mixer and start adding flour 1 cup at a time (About 5- 6 cups total). The goal is to have the dough texture so that it starts to separate from the edges of the mixing bowl but is slightly sticky. That’s why is it around 6 cups more or less. Too much flour will make them dense but not enough and the dough will be sticky and difficult to work with. Lean towards the sticky side. When you get around 4 cups in, add the remaining in by 1/2 Cups and allow some time (1-2 minutes) in between additions. 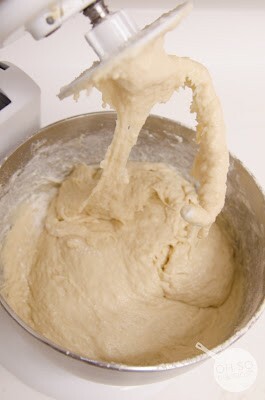 This allows the mixer to mix in the flour and you can better see the real texture of the dough. When ready to prepare rolls, melt some butter on a large cookie sheet. An easy way to do this is to place a large piece of butter on your cookie sheet and then stick it in the oven while the oven is preheating. 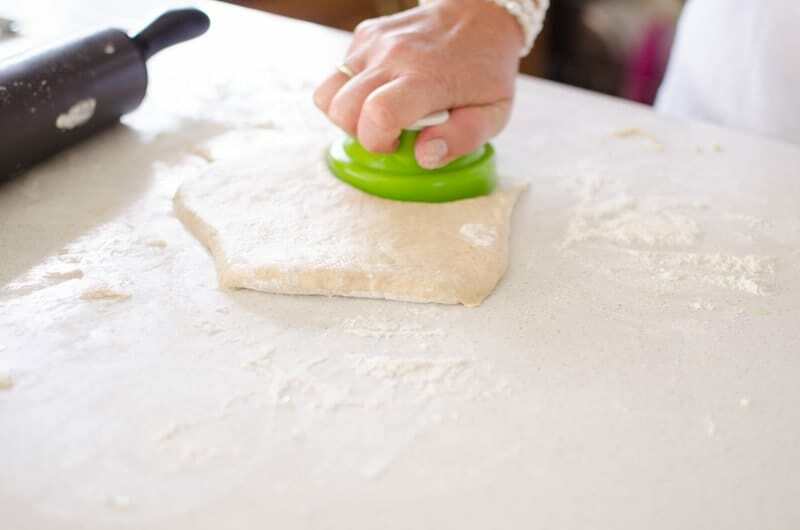 Roll out dough with rolling pin to about 1/4 inch thick and cut in to circles with a large cup, lid, cookie cutter or whatever you have that is circular! This is our mother, Cindy! She is the one who passed along the tradition of roll making. She was kind enough to be my demonstrator so I could get some action shots for you guys. Preheat oven to 350 deg. Bake in oven for 15-20 mins or until golden brown. If desired brush top of cooked rolls with butter to soften and let cool. I love to eat them while they are hot! They just melt in your mouth. I hope you enjoy this family recipe as much as we have! Like I said earlier, bread making is a technique. Practice! Learn how much flour you need and when is the right texture to stop. Every time I make them it is slightly different. If you have any questions or problems be sure and ask. We are here for you! *Sometimes there is extra dough after filling up your cookie sheet. Roll this dough in to a small loaf and let rise. Cook after your rolls and you will have a nice extra loaf of bread! **Dough may also be use to make garlic bread loaves. Just take dough and split in half. Roll out in to two loaves. Sprinkle with Jonny’s Garlic Spread and a dash of Jonny’s Seasoning Salt. Bake at 350 for 15 mins. 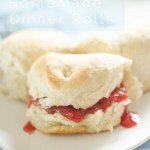 The most delicious dinner roll you will ever eat! 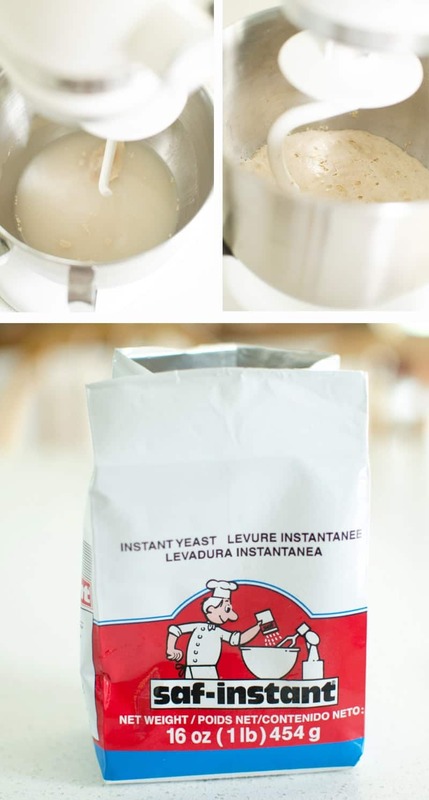 Start out by mixing the luke warm water, yeast and 2 tbsp of sugar. Let grow from about 10 minutes to make sure yeast is good. Then add remaining sugar, butter, egg, salt. Start mixer and add flour 1 cup at a time. Around 4 cups go to 1/2 C at a time and allow a minute or two in between the next addition so the flour can be throughly mixed in. (About 5-6 cups total- see note). Once the desired texture is reach, mix for another 2-3 minutes. Sift flour on a clean counter where you will rough out the dough. Tip the bowl over on side. This will let the dough rise out of the bowl and onto the flour with out sticking to the counter. Cover with a towel help to warm the dough and speed up rising. Let rise about 2-3 hours. When ready to prepare rolls, melt about 2-3 Tbsp butter on large cookie sheet. I like to do this by putting the butter chunk on the cookie sheet and placing the cookie sheet in the oven while it is preheating. 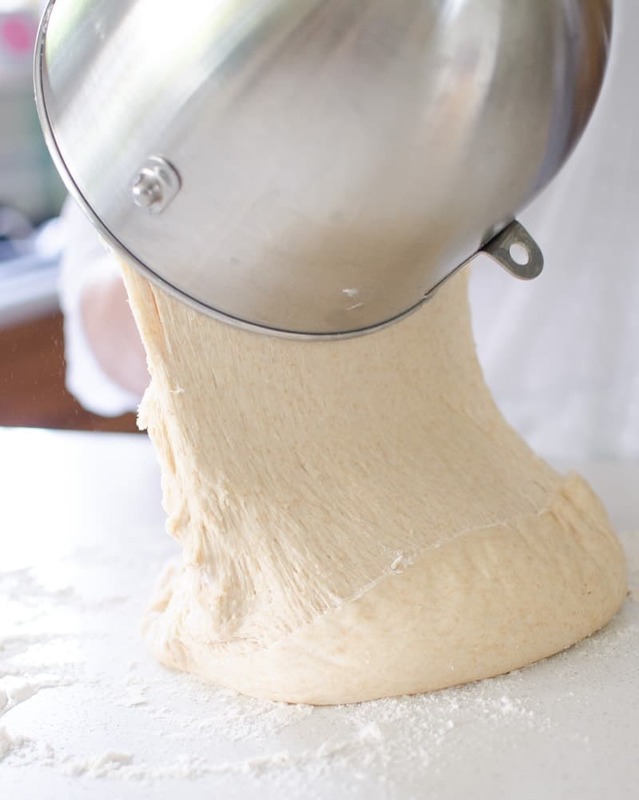 Roll out dough with rolling pin to about 1/4 inch thick and cut in to circles with a large cup. Take circles and pat each side in the melted butter on the pan. Fold in half and pinch. 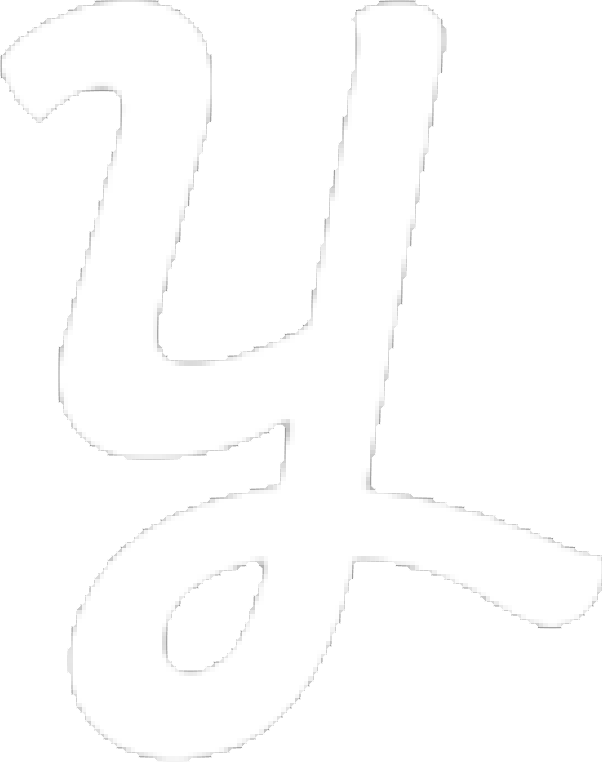 Align in pan. Once all are in the pan, cover with clean dish towel and let rise another 30 mins. Preheat oven to 350°F (180°C). Bake in oven for 15-18 mins or until golden brown. If desired brush top of cooked rolls with butter to soften and let cool. *The goal is to have the dough texture so that it starts to separate from the edges of the mixing bowl but is slightly sticky. Too much flour will make them dense but not enough and the dough will be sticky and difficult to work with- lean towards the sticky side. **Sometimes there is extra dough after filling up your cookie sheet. 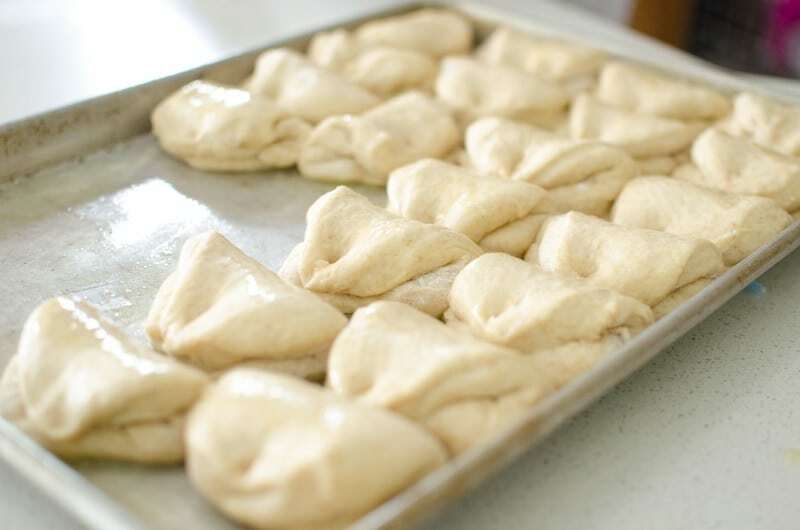 Roll this dough in to a small loaf and let rise. Cook after your rolls and you will have a nice extra loaf of bread! ***Dough may also be use to make garlic bread loaves. Just take dough and split in half. Roll out in to two loaves. Sprinkle with Jonny's Garlic Spread and a dash of Jonny's Seasoning Salt. Bake at 350 for 15 mins. These are hands down my most favorite rolls. My mouth starts to water just thinking about them. Perfect for holidays and Sunday dinners. Hkw would the technique change if I don’t have a mixer? I do have a hand mixer though. Hi Anna! 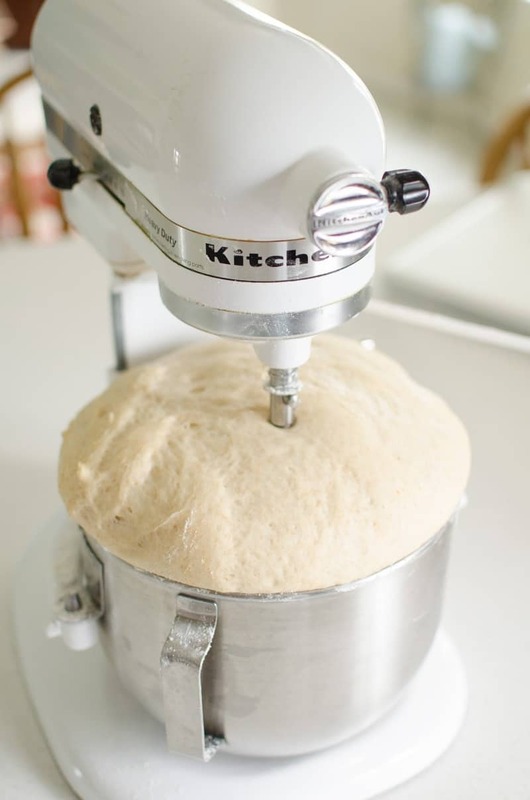 You would need to knead the dough by hand, a hand mixer would get stopped up with the thick dough and wouldn’t produce the right texture. The beginning phase could be done with a spoon and mixing throughly but once you start to add flour you would have to knead it. I’ve never tried this recipe by hand. If you try it let me know how it goes! I’m curious! Made these for Thanksgiving and they were a huge hit! I usually like to use milk in most bread recipes that call for water. Either regular cow’s milk or carnation milk. Do you know how this affects texture? is this regular all purpose flour or self rising or what? 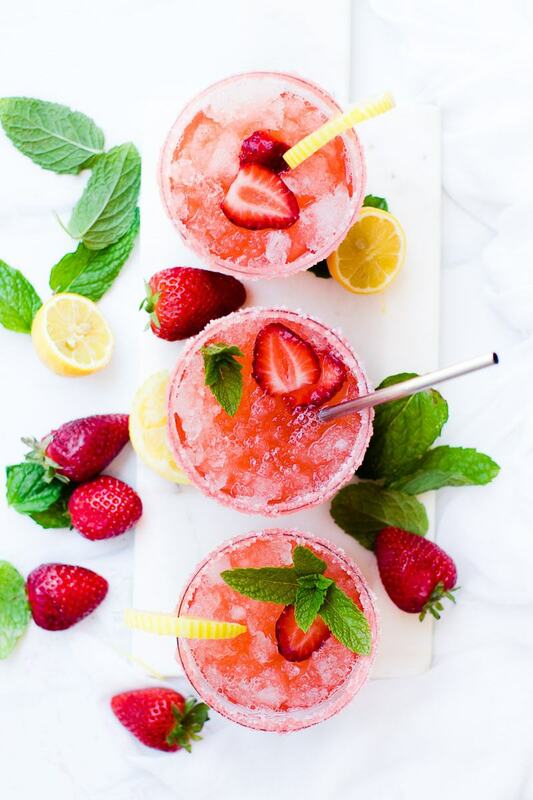 These look so delicious can’t wait to try them!